Hi loves! 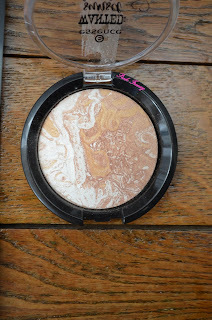 Today's post is review on Essence Wanted Sunset Dreams Eyeshadow Palette (12g) and Wanted Sunset Dreams Marble Highlighter in shade 01 Golden Summer Days (8.5g). Both come in clear plastic compacts and the packaging of the palette is sleek, which makes it perfect to take with me when traveling. 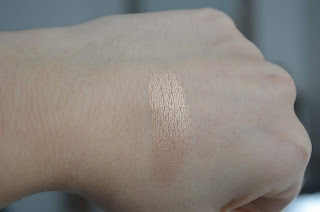 I also like the lids are clear, so I'm able to see both the eyeshadows and the highlighter. The packaging of the highlighter is bit more bulky, but not much. Lets talk about the highlighter first. 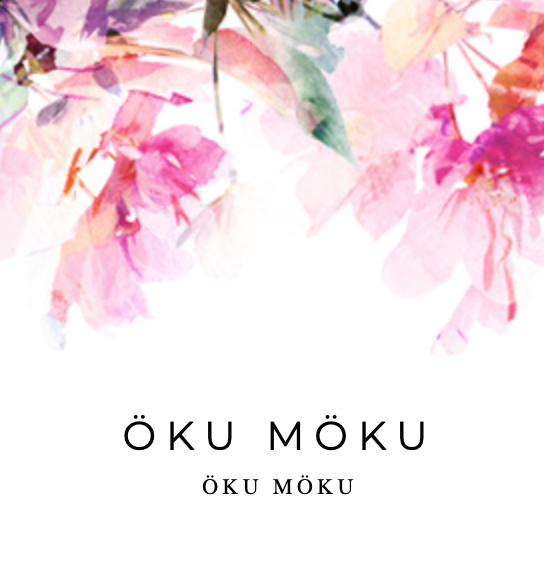 The formula feels silky smooth to the touch and gives beautiful glow to the cheek bones. 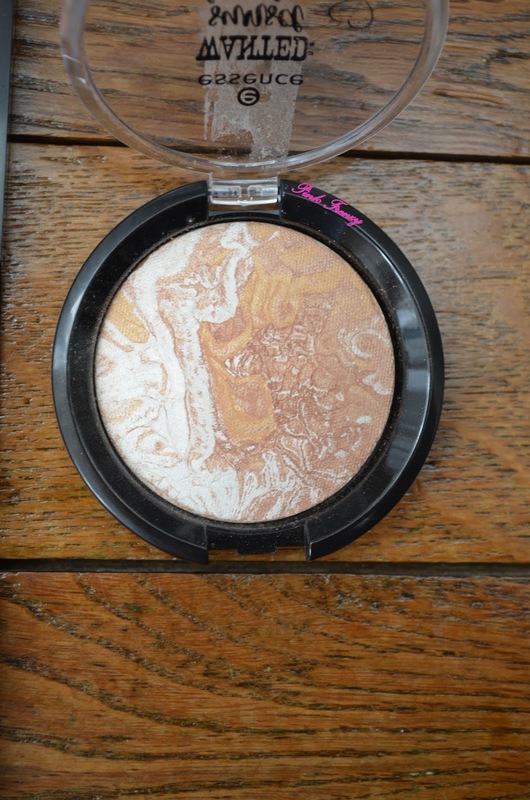 I like its marble highlighter, because I have like 3 shades in one. 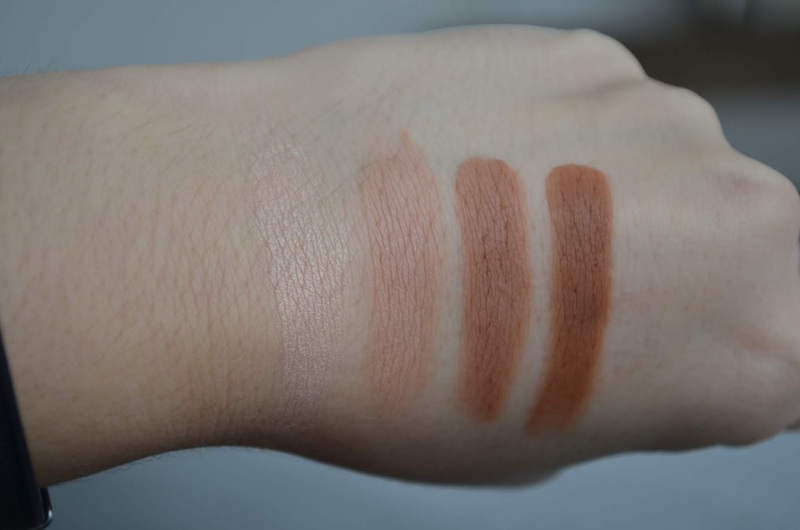 I can go more cool tone or bronzy look or even go for a shade, which is between both shades. The swatch you can see above and its all the shades mixed together. It give a bonze gold shade, which is just stunning. The staying power of it is okay. I did notice it was bit faded after 8 hours wear time. I can still see it, but its not as vibrant and intense. Lets move on to the Wanted Sunset Dreams Eyeshadow Palette, which is beautiful and perfect if you are into warm tones. 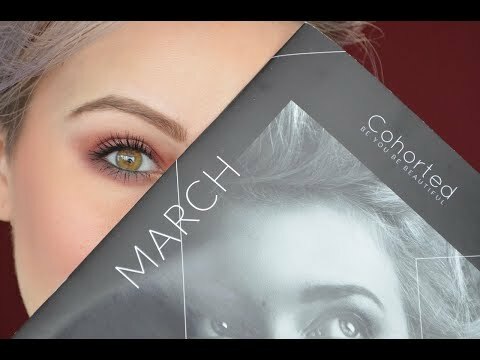 This palette contains 12 eyeshadows: 5 shimmery shades and 7 matte shadows. The pigmentation of the shadows is beautiful, which you can see on the pictures above and below. These are easy to blend out out and last with eyeshadow primer all day without creasing. 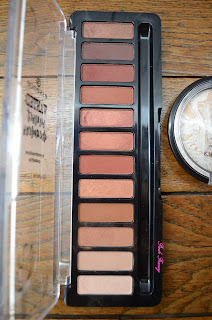 I have only one issue with this palette and its nothing to do with the quality. I feel the shimmer shades are too similar. I would have like the shimmer shades to be bit more different and not just shade lighter or darker. 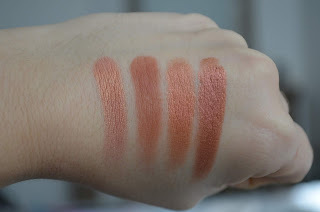 I think you'll know what I mean looking the swatches below. 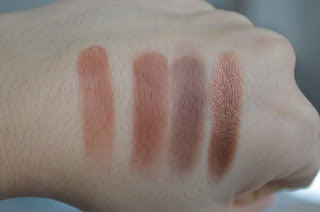 I feel my looks come out similar whenever I use this palette, so I feel I need to take in other eyeshadows. I do end up with beautiful looks with this palette too. You can see a look I did with this palette down below and I didn't use any other shadows. I'm very happy with the 2 items I picked up from Essence. I did take a brake from the brand, because I have ended up with more misses then gems. 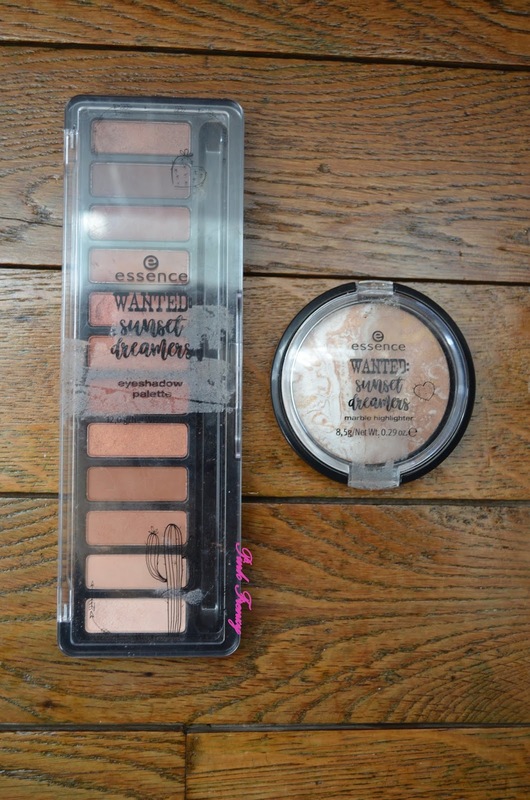 But these 2 items are definetly gems and now I'm read to try more from the brand. Have you tried these products already? This palette has such pretty colours!! Such a beautiful products. I really like shades and highlighter is so gorgeous. I can see how the eyeshadows in that palette will look the same upon application, shame because other than that the pigmentation seems good.